The KJA is that central meeting point where all members of the Jewish community can come together. A gift to the KJA campaign is an effective way to meet both personal and community goals for Tzedakah. Donating your old car is easy!! 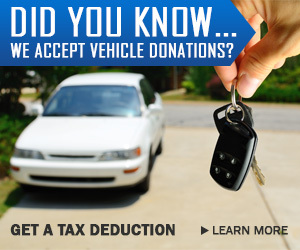 CARS really does make it easy to donate your car or any other type of vehicle. We accept cars, trucks, SUVs, motorcycles, ATVs, and even boats. To get started, simply complete our secure online donation form or call 855-500-RIDE (7433) to speak to a representative.